Installed permanently in the Artcoustic UK Showroom - by appointment only DF65-55s with designs from the Amika collection are used here for left and right, with a DF Multi 42 used for the centre channel. Diablo Targets in ceiling are used for the rear channels. The subwoofer is a Panel Sub Duo. 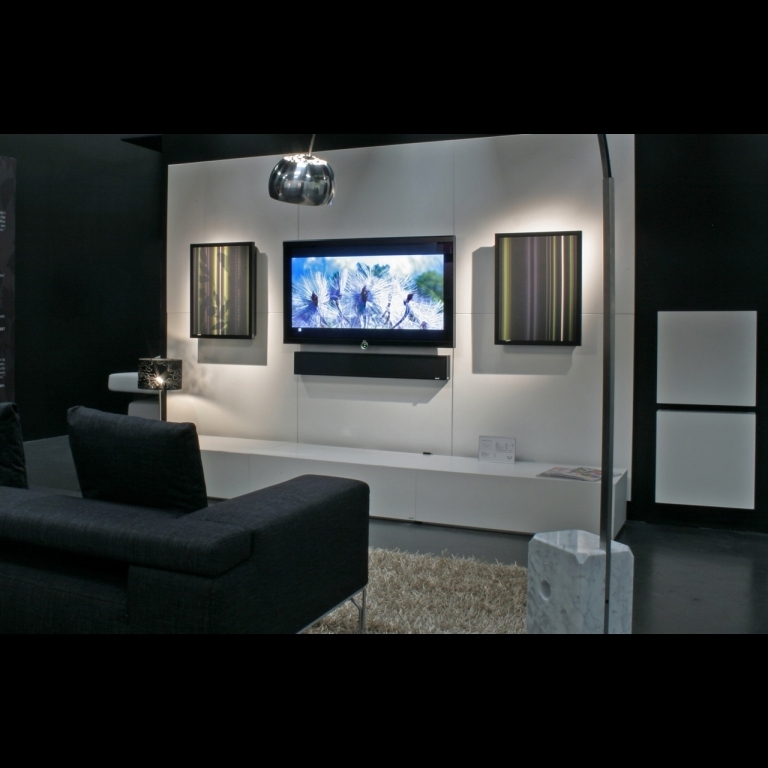 3 white Artcoustic Linax Duo cabinets are used with the Artcoustic Media Wall The DF Multi is the perfect solution for flat screen systems. Standard sizes are available for 42", 50" and 60" screens, with a bespoke options from Artcoustic Custom enabling the DF Multi to be made to the specific size of you screen if desired, right up to 103" screens!